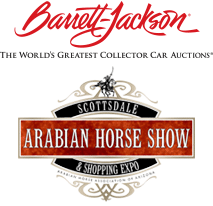 Calling all pampered paws and dapper dogs – The Canine Couture Runway Show returns to The Bentley Scottsdale Polo Championships: Horses & Horsepower at WestWorld on October 24th! 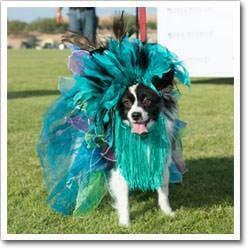 Known as “Arizona’s Most Flamboyant Dog Show,” The Canine Couture Runway Show presented by Applewood Pet Resort and Bark Avenue is sure to delight fashion and dog lovers alike! The posh pooches will be judged on overall appearance, and creativity is highly encouraged! First Place wins $300 cash and a free three-night stay at Applewood Pet Resort or Bark Avenue Pet Resort. Additional cash prizes and services are awarded to the top 5 finishers. To help inspire your furry friend’s perfect fashion look, here are the 7 BEST looks from past Canine Couture Runway Shows! Fall foliage makes for one fashionable furball. Not even Miss Arizona can steal the limelight from this Rotty’s matching ensemble. Flower power is a popular choice among posh poochies. We pledge allegiance to America the Poodiful. “The fluffier, the better” is the Pomeranian way. A fashionable arrival for one fancy pup.